Imagine a warm tropical breeze wafting the curtains of your private beach cabana, the gentle wash of sun-kissed surf on white sugar sand, and the exotic calls of brightly colored birds echoing from the nearby jungle…..Got the picture? 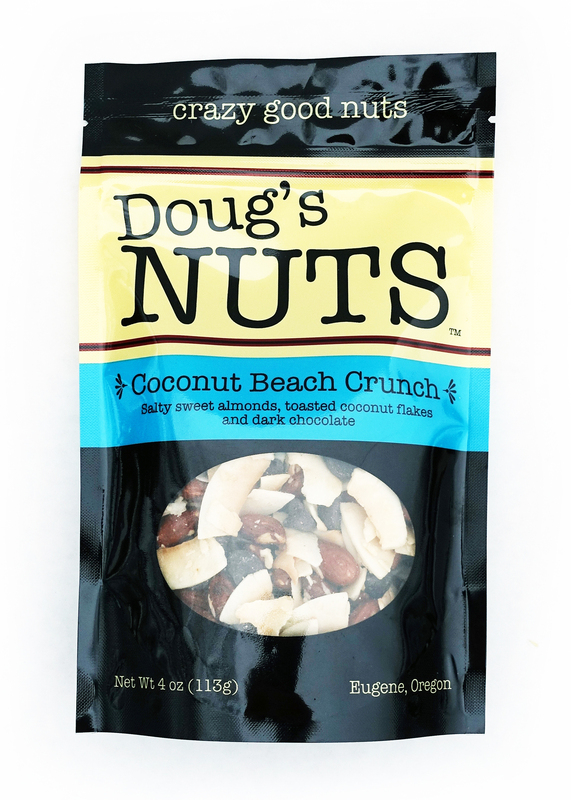 Now open up a bag of Doug’s Coconut Beach Crunch and dive into your very own tropical paradise of beer-glazed salty almonds, toasted coconut chips and dark chocolate….. Wow! It’s just like being on that sunny beach, but without the foot-frying walk across the parking lot because you left your flip flops in the car. Don’t forget the sunscreen. Directions for use: Open bag with care. 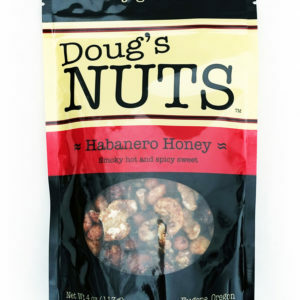 Place Doug’s Nuts gently into warm, expectant palm. Then get some for yourself. Repeat until bag is empty. If not utterly satisfied, return the uneaten portion and we will refund the unspent part of your purchase price. Share the love. 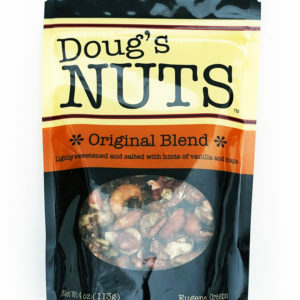 Pass the nuts. Go get more. Ingredients: Almonds, desiccated coconut (unsulphured), semi-sweet chocolate chips (sugar, chocolate liquor, cocoa butter, soy lecithin, vanilla), organic evaporated sugarcane juice, honey, gluten-free ale (water, sorghum, oats, chestnuts, sugar, hops, organic tapioca maltodextrin), sea salt, organic vanilla extract.